During the development of a new treatment space for the UK emergency ambulance participatory observations with front-line clinicians revealed the need for an integrated patient monitoring, communication and navigation system. The research identified the different information touch-points and requirements through modes of use analysis, day-in-the-life study and simulation workshops with clinicians. Emergency scenario and role-play with paramedics identified 5 distinct ambulance modes of use. 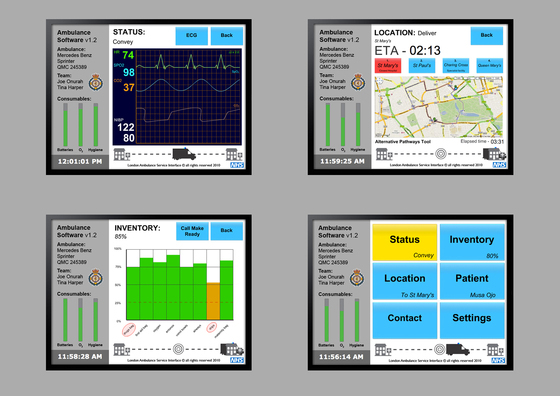 Information flow diagrams were created and checked by paramedics and digital User Interface (UI) wireframes were developed and evaluated by clinicians during clinical evaluations. Feedback from clinicians defined UI design specification further leading to a final design proposal. This research was a further development from the 2007 EPSRC funded “Smart Pods” project. The resulting interactive prototype was co-designed in collaboration with ambulance crews and provides a vision of what could be achieved by integrating well-proven IT technologies and protocols into a package relevant in the emergency medicine field. 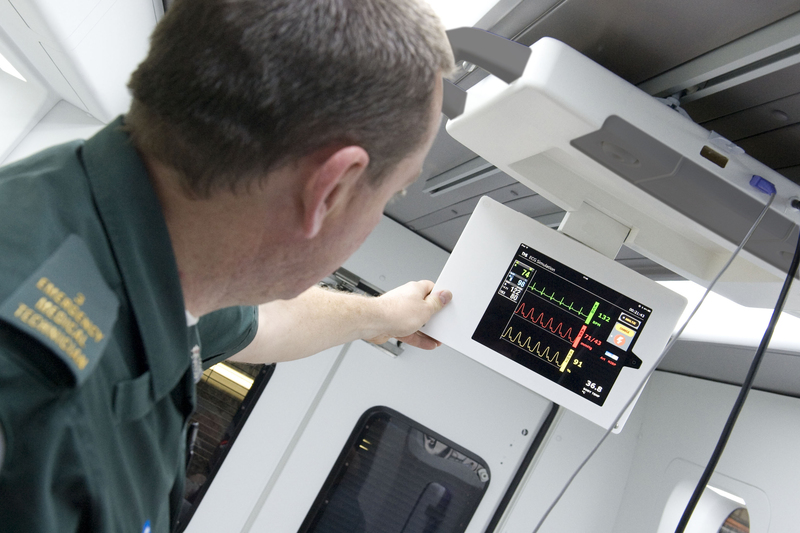 The system has been reviewed by over 40 ambulance crews and is part of a newly co-designed ambulance treatment space.